On November 5, Fans for the Cure “broke the ice” by bringing our educational mission to a regular season game in the NHL for the first time. Thanks to an invitation from the New York Islanders in connection with their Men’s Health Awareness Night, Fans Founder Ed Randall and a team of 20 enthusiastic volunteers spent an evening sharing life-saving information about prostate cancer with 9,400 hockey fans, as the home team took on the Montreal Canadiens at the Barclays Center in Brooklyn, New York. The New York Islanders partnered with Fans for the Cure to raise awareness about men’s cancer. Recognizing our successful track record engaging with sports communities to raise awareness and educate men and women about prostate cancer, the Islanders selected Fans for the Cure to be their featured charity on a game night dedicated to promoting men’s health. The New York Islanders donated a signed hockey stick for our auction of sports memorabilia. In addition to inviting us to chat with their fans, the Islanders and their stellar Community Relations team supported our fundraising efforts by donating a hockey stick signed by the entire team to a raffle of sports memorabilia. The money raised by the raffle and donations made that evening will help fund Fans for the Cure programs that promote early detection and treatment of prostate cancer, as well as our new initiative to support prostate cancer research. 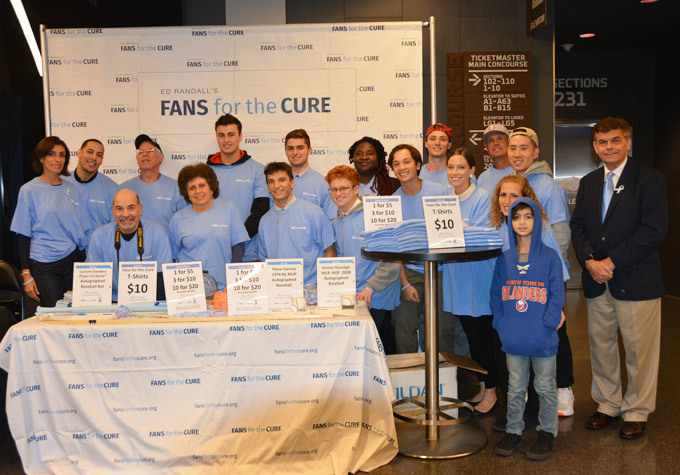 Fans for the Cure volunteers at the New York Islanders event on November 5, 2018. It’s clear that the New York Islanders care deeply about the community that they call home. The entire organization – ownership, management, players, and front office staff – work hard to make a positive difference through a variety of programs and initiatives, including several focused on healthy living, education, and youth hockey development. From their wide-ranging support of children, veterans, the hungry, and countless others, the Islanders’ strong presence is felt throughout Long Island and the NY/Metro area. Fans for the Cure is honored to have had the opportunity to partner with the Islanders and thanks the entire organization and our own group of volunteers for their commitment to us and the larger community. 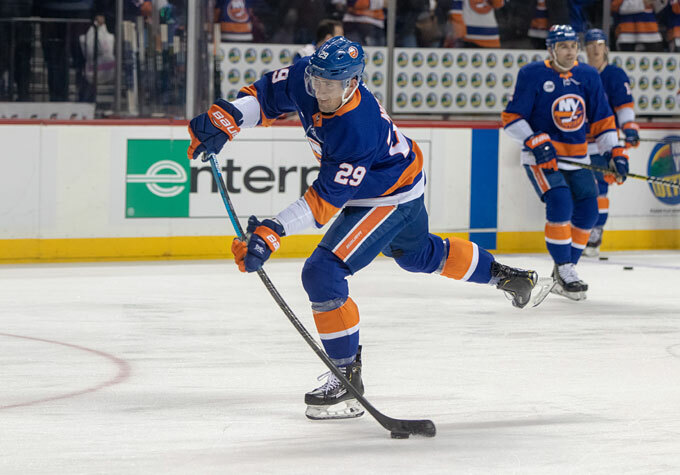 As volunteers distributed our informational brochures and awareness bracelets to hockey fans around the arena, former Islanders’ captain Clark Gillies, who led the team to four Stanley Cups, graced the big screen above the ice. A FANS MVP, Gillies shared his experience with prostate cancer, reminding fans that prostate cancer is very treatable when it’s caught early enough. In addition to Clark’s educational video, Ed Randall was interviewed by Shannon Hogan, a host and reporter for the Islanders telecasts on MSG+. During the interview, Ed highlighted the importance of early testing for prostate cancer. His interview was part of the game broadcast on the MSG+ network, which goes out to hockey fans throughout the greater New York City area. At Fans for the Cure, we have more than a decade of experience raising awareness about prostate cancer testing and treatment options. We welcome the opportunity to partner with additional sports teams, community groups, and organizations to inform your local community.